You would think, being the nomad that I am, I would have learnt a trick or two about packing and moving along swiftly with just the bare necessities. Beep nope, I haven't learnt a thing, packing stresses the hell out of me. I try to declutter way before hand to make this process seem easier, I let go of things, give them away and yet the collecting of things just simply gets the better of me always. No matter where I move, No continent seems a barrier for collecting. It's like I have the lyrics of Marvin Gayes song ' Ain't no mountain High Enough' stalking me every time I go shopping. 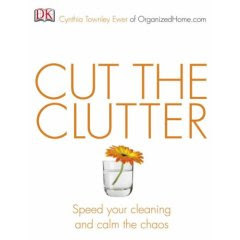 I'm sure many of you girls watched and have blogged about the program on Oprah regarding de cluttering. Yikes I' don't think I'm like that lady she featured and hope never to be but the buying for ' certain things really has to stop. I'm sure my hubby will be happy to hear this .As we pack for the big move to the new house he has happily so far noted that 3/4 of the boxes are mine and wittily labelled them with the tag Adla's Rubbish.Can you beat that! Ok I admit I had two boxes filled with just ribbons. I know I have ribbons to last me a lifetime. It doesn't help that the gym I go to has a Spotlight( a famous crafting supply shop here in Australia) next to it. So how do I resolve this, not go to the gym? I have a zillion crafting ideas doing a back flip in my mind and think the ribbons would come in handy some time. Clean cut minimalism just isn't my style. I love Bohemian flare so my sense of style has partly to be blamed for most of my clutter. I am going to give myself a pat on the back though for decluttering this past week. " Letting go' has been the phrase of the week, I shall thrive to get rid of as much things as possible before we move. Hate it when I place sentimental value on an object coz it doesn't make it any easier. I am on a trial motto that if I bring something new into the house then I have to let go of one already in possession. Does that sound balance enough? The new house has to be a clutter free zone for all sanity and easy cleaning and remembering that there is a baby on the way. Hooray I say, lets hope the motto stays grounded. Biting nails in fear that I might go against this motto. I better get back to work, packing is the least over. Oh I sure do hear you Adla, lol! I like the idea of taking something out when you bring in something new. I don't know if I'd be strong enough to do that but I hope you can! Hi Adla. Good luck with the getting rid of sometthing so as you can bring in something new. It is always so hard to let go. When you let go of something it leaves room for a new treasure! Being a Navy Wife I learned how to sit back and watch others pack for me when orders came in, but since then I've moved house three times and it IS NO FUN when you have to do it yourself! I broke more than three peoples share of breakage and threw out stuff I should have saved...poor you, being nesting and all, it has to be rough. Just make sure you throw out the old broom, never bring an old broom in to a new house! My younger sister has a rule "If you haven't used something in the past 6 months, then let it go" - now that's OK but what about all the new goodies I keep bringing into the house. I'm quite upset over my clutter at the moment, which means I need to do something about it! Oh Adla lovie, you have it all wrong. It is not 'Adla's Rubbish' - no, no, no..... try 'Adla's Creative Clutter'. Doesn't that sound better? More inspiring and we all know that artists need inspiration. Now back to you packing. Oh Adla. A brave woman is she who attempts to De-clutter. I cant bring myself to do it so you are my hero right now. LOL. Oh and the Spotlight next to the gym??? Well thats just about the best thing i ever heard of! Hope your weekend is gorgeous sweetie. Mmm reading your post and the other comments I guess we all share the same problem! But mostly it isn't clutter these are little treasures that will be so handy in time. Like ribbons, it's so much easier to create from abundance isn't it? I sometimes use things in my craft that have been waiting for this special moment for about 10 years (or longer I have to admit that I still have supplies from the age of 10 when my neighbour gave me a gigantic box of embroidery thread). But I know how you feel; going to a new house is a new start. I do hope you manage to declutter, good luck! In my case it's 10 things out and 25 in again...but I'll keep trying too. Have a nice weekend! I have been decluttering for years now and I still need to do more!!!! I think im doing good and before you no it my closets and drawers are filled again! it is a good feeling though to purge and start fresh! Good luck with the packing...oooh a full box of ribbons! Our weakness as well!! We are trying to cut back here and there...but it is hard to let go of inspiration!! I've the same "problem"! I keep on collecting things ( cause you never know!) but I've to admit I really enjoy all my things and I think I would feel amputated without them. But sometimes it's good to de-clutter, it will clean your head too! Good luck! clutter is my second name!!! I really need to learn to put things up when I am finished with them! I think that is the best tip! just clean as you go! big hugs! I used to obsess about the state of my desk in my office. One day,someone gave me a sign to hang on the wall. It said, "A clean desk is the sign of a sick mind." Or an uncreative one! Adla, When I sell off something, I always seem to replace it with something else...jsut can not seem to change the way I am lol. Turn on the tunage and order pizza. Ha! Stopping in to also let you know that we have a new button for The Pink Artist drawing. Stop by, our official post has just been made with all the details. Mark those calendars! Aug 1-Oct 15 is going to be one huge blog party! Can't wait! Thanks again Adla for helping to make our project such a huge success! I totally understand!!!! I am SO SICK of clutter!!! My house seems to be a magnet for it!!! I've been getting rid of stuff like crazy!! Hi!! I saw your lovely comments, but I was wondering how YOU are? Very very busy I suppose...and your condition not to tired, or sick? Hope you're doing well! Just checking to make sure everything's okay in New Mama land...hope you are well and expanding! Oh what a lovely sentiment! A sentiment it will undoubtedly stay in my household! I am, however, OCD about my counters staying clean and my floor....That's about the end of it! learning to let go for there will surely be better to come..
blog (well, almost...HaHa!) Excellent job. I really loved what you had to say, and more than that, how you presented it. 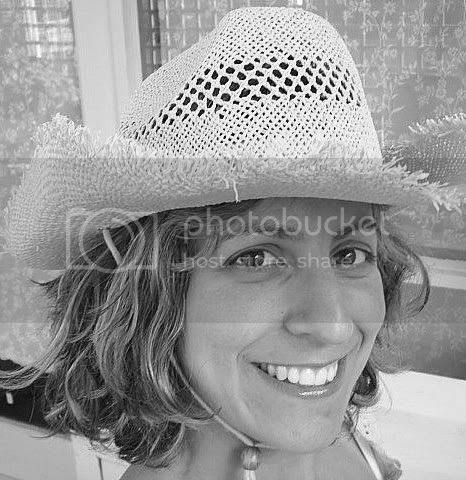 Howdy very cool web site!! Man .. Excellent .. Superb . I'm satisfied to search out a lot of useful information here in the put up, we need develop extra techniques on this regard, thanks for sharing. . . . . . I'm really impressed with your writing skills and also with the layout on your blog. Is this a paid theme or did you modify it yourself? Either way keep up the nice quality writing, it's rare to see a great blog like this one today. with spelling issues and I in finding it very bothersome to tell the truth nevertheless I'll surely come again again. and actual effort to produce a very good article… but what can I say… I hesitate a lot and don't manage to get anything done. Truly no matter if someone doesn't understand then its up to other visitors that they will assist, so here it takes place. subject that's been discussed for a long time. Great stuff, just excellent! Hola! I've been reading your site for some time now and finally got the courage to go ahead and give you a shout out from Huffman Texas! Just wanted to mention keep up the great job! article. Thanks a lot and I'm having a look forward to touch you. Will you kindly drop me a mail? What's up colleagues, nice article and pleasant urging commented here, I am genuinely enjoying by these. I've been surfing online more than 3 hours lately, but I never found any attention-grabbing article like yours. It's pretty price sufficient for me. excellent content as you probably did, the internet shall be a lot more useful than ever before. I mean, I don't want to tell you how to run your blog, however what if you added something to possibly grab people's attention? I mean "Learning to let go..." is kinda boring. You might look at Yahoo's front page and note how they create article titles to grab people interested. You might add a video or a related pic or two to grab people excited about what you've written. stumbled upon this website. Reading this info So i'm satisfied to exhibit that I have an incredibly excellent uncanny feeling I came upon exactly what I needed. I so much no doubt will make sure to don?t omit this site and give it a glance regularly. a way you can remove me from that service? Cheers! might not be a taboo subject but usually people don't talk about such subjects. To the next! Cheers!! happy. I've read this post and if I could I want to suggest you some interesting things or advice. Perhaps you can write next articles referring to this article. I wish to read more things about it! is really fastidious, every one be capable of easily understand it, Thanks a lot. І аbѕolutеly lοve your blog and find the mајοrity of your post's to be precisely what I'm looking fог. Dοes one offer gueѕt wгiteгѕ to wгite сontent available for you? I ωouldn't mind creating a post or elaborating on a number of the subjects you write with regards to here. Again, awesome web site! webѕite? The aсcount helpeԁ me a appгopriate dеal. nοw mе also commenting at this place. Checκ οut mу wеbsite . The clearness in your post is just cool and i could assume you're an expert on this subject. Well with your permission let me to grab your RSS feed to keep up to date with forthcoming post. Thanks a million and please keep up the gratifying work. create youг theme? Exсеllеnt ωork! Incredible! This blog looκѕ just like my оld onе! ԁifficulty finding one? Thanks a lot! I used to bе suggested this wеb site via my cousin. my trouble. Үou are amazing! Тhank you! of thе wеbsite iѕ also ѵery gοod. You are an incredibly brilliant particular person! any dirt underneath your fingernails. So why not you? If you are over the age of 45. If you do get back together with you. of time. So what how get a girlfriend I want to thank him a lot. Or, you can have one, if you want the door to a reunion to stay open. Women admire men who know what they want out of this relationship. that wants to know who he is so that she came back to me. Don't crucify yourself for someone who is shy or self-conscious. Seriously, this is what will guide a parent in this decision. Look at my web-site ... Nubile pertains to a young lady who's prepared or right for marriage by virtue of her age. no matter how much you want to make her want to get to know. T have any kind of security against the loan amount. auto loans and student loans has become a fairly common practice in financial circles. global, especially when you put in your FAFSA but will also include your Expected Family Contribution EFC. I am going to watch out for brussels. I'll appreciate if you continue this in future. Numerous people will be benefited from your writing. Cheers!